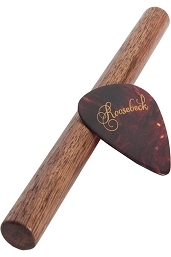 Roosebeck 34 Inch Deluxe Emma Mountain Dulcimer Knotwork. 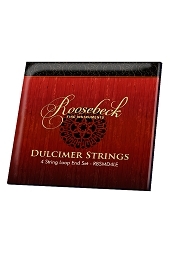 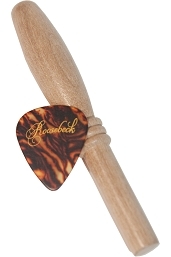 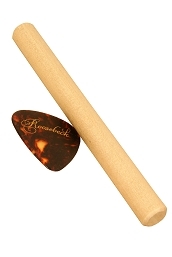 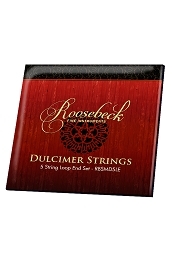 This Deluxe model offers the best features from the Roosebeck Mountain Dulcimer line! 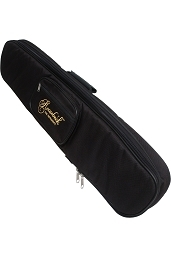 The vaulted fret board and the completely spruce soundboard are light weight and allow for more sound vibration, producing excellent sound quality. 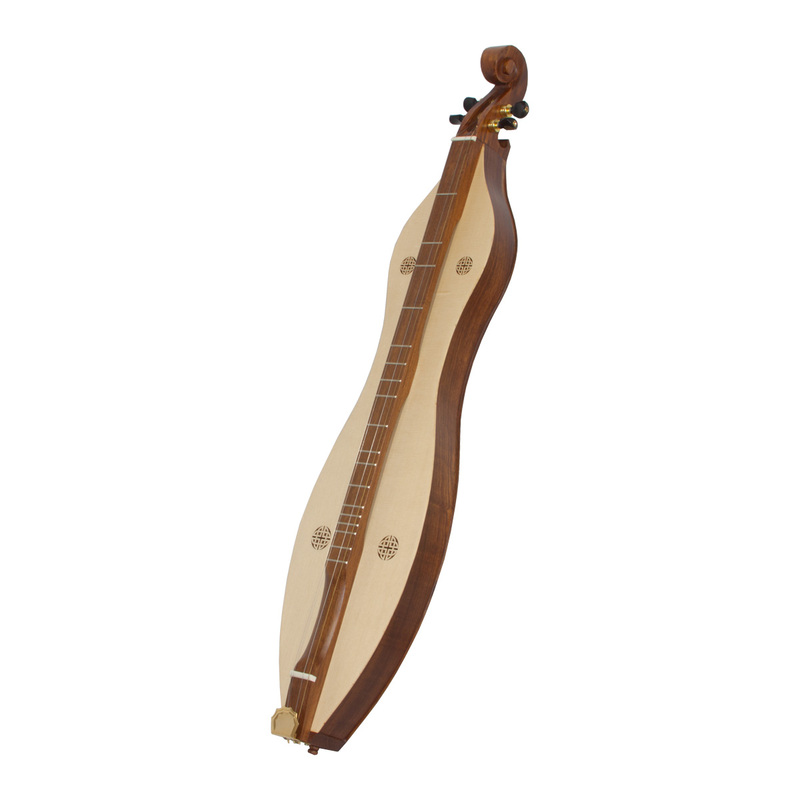 This mountain dulcimer has an hour glass shape and 4 knotwork openings on the sound board. 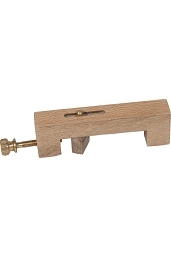 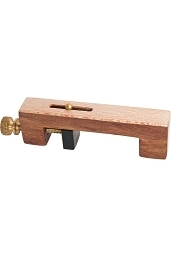 The body, neck, nut, bridge and fret board are solid sheesham and the end peg has a gold color and is shaped like a crown. 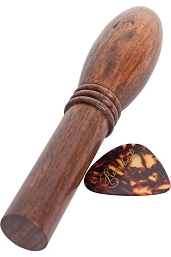 The carved scroll peg head features 4 gold colored mechanical geared straight tuners with a 4:1 ratio and there are 4 strings, including 2 melody strings, 1 middle string and 1 bass drone string. 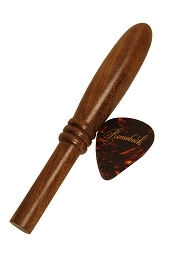 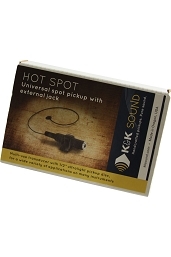 Many tunings will work, but we recommend the traditional DAD method to make it easy to pick up and play. 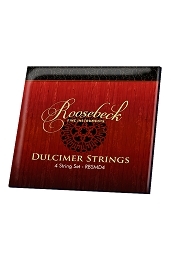 The following accessories are included with item: pick, noter, draw string bag and owner's guide.